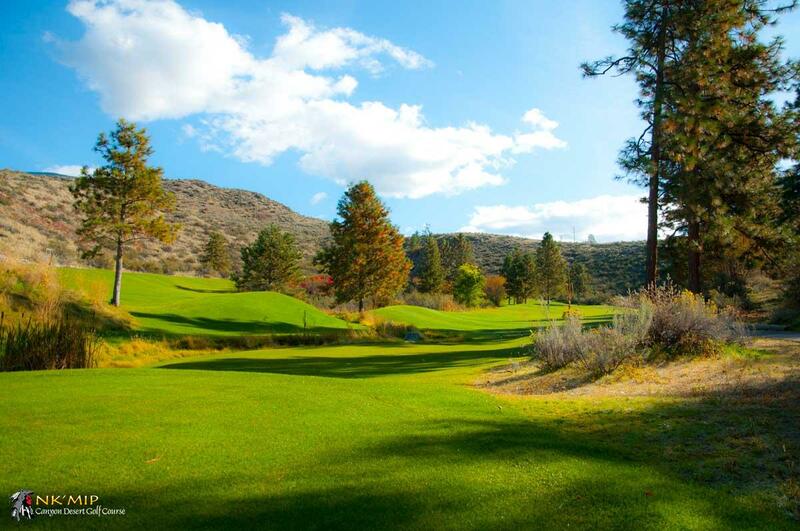 There is no one word that describes Nk’Mip Canyon Desert Golf Course in Oliver, BC. Centuries before the course was created the Okanagan people who lived here had formed an affinity with the canyons, the game, the wind, and the water that nurtured their lives and added dimension to this region of the valley. They referred to the area as “Nk’Mip” (Inkameep) whose English meaning roughly translates as “flat bottom land at the mouth of the creek or river”. However the translation lacks the imagery of their language. 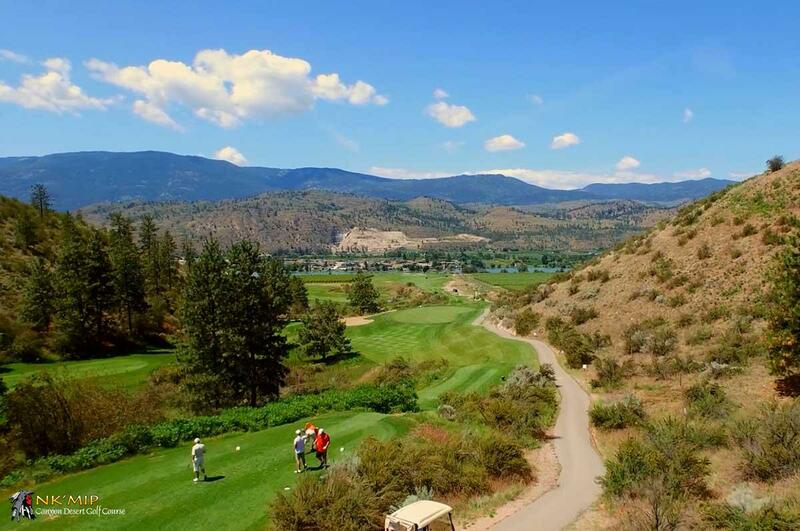 The Okanagan saw land in terms of pictures that went deeper than words and when you see the Nk’Mip Canyon Desert Golf Course you will understand why. Owned and operated by the Osoyoos Indian Band, Nk’Mip Canyon expanded from a relaxed nine-hole course to a championship model in 2001. Its local field designers listened to the symmetry of the elevated Land to the north of the original nine and responded with a daring reply – adding 13 expansion holes and renovating 5 existing ones. The result is a striking blend of natural contrasts divided into the desert- dominated Canyon Nine, which delights in throwing the elements at an unwary golfer, and the more laid-back Grove Nine whose verdant fairways and greens welcome a long drive and a satisfying putt. Come play through the spectacular vineyard, sage and stone vistas and watch the sun play tricks on the mountains. Golf course designed for all levels of player ability. Golf Boards available to enhance your golf experience.